Rejoice! BrownsFashion.com is now stocking Maryam Nassir Zadeh, which brings the brand’s largest offering to the UK marketplace. You don’t need to use up your air miles to get ahold of these pared-back and oh-so-cool Roberta suede pumps (they go with everything, seriously), although we do love an excuse to visit the Big Apple. Further collection drops will be coming throughout the season, so watch this space. “Classic but not conservative” is Zadeh’s design remit for her eponymous label of laid-back style staples. Coined by The Browns’ edit team as having “a distinct wit and off-kilter elegance”, the fashion house has a knack for distilling the style moment into one very wearable piece; be it a knitted A-line skirt or a suede accessories in muted violet. As we’re at the epoch of the rounded-toe, low-back heel era, there’s no greater time to raise your game with soft-body shoes, so invest right here and right now. A pair of Robertas will tap every outfit into the cutting edge of urbane. Now, where’s the credit card? Scroll down to shop the Roberta shoes in four colourways! 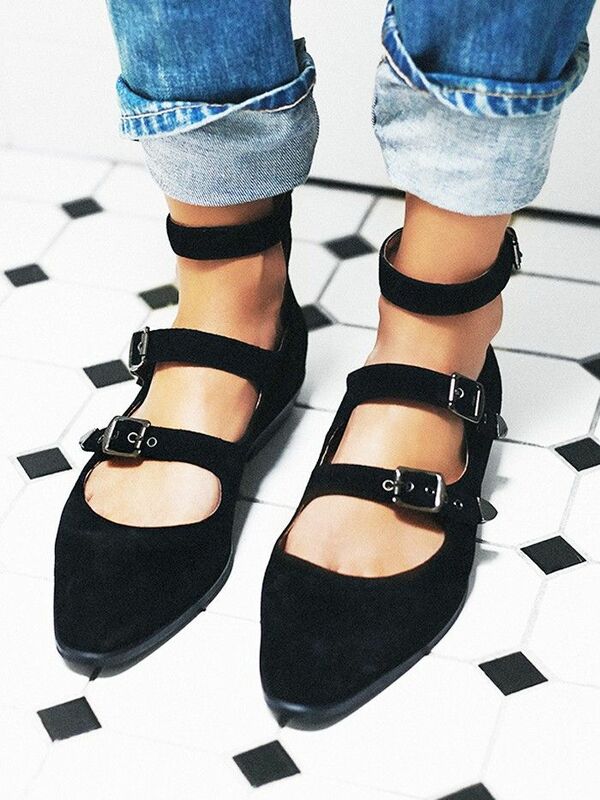 Do you have a pair of round-toe heels yet? Comment below.